Durston Agile C110 Rolling MillThe all-new Agile C110 is a special edition to the range of Durston rolling mills, coming from the same stable as the DRM C100 RE. It is lighter than the DRM range by having finer frames, but it is designed to support the load without any compromise on quality. 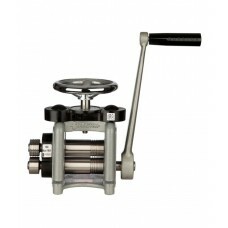 A tradi..
Durston Agile C130 Rolling MillThe all-new Agile 130 Rolling Mill is a special edition to the range of Durston rolling mills, coming from the same stable as the bestselling combination mills such as the DRM C130 RE. It is lighter by having thinner frames, but where the mill needs its strength, it’s ..
Durston Agile F110 Rolling MillThe F110 is a dedicated flat rolling mill for metal sheet rolling and does not include wire rolling grooves or side extensions. 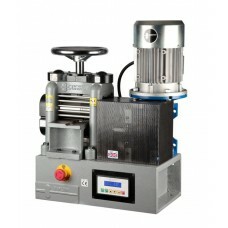 The all-new Agile F110 is a special edition to the range of Durston rolling mills. It is lighter than the DRM range by having finer frames, b..
Durston Agile F130 Rolling MillThe all-new Agile F130 Rolling Mill is a special edition to the range of Durston rolling mills, coming from the same stable as the bestselling combination mills such as the DRM F130. 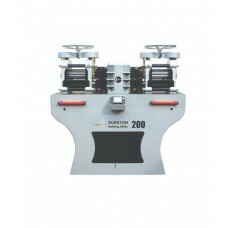 It is a dedicated sheet rolling mill and features no wire milling grooves on the main ..
Durston Double D2-130 Rolling MillThe Double D2 Rolling Mill from Durston is a different mill featuring two sets of rolls; one for flat rolling (having side extension rollers incorporating four half rounds) and the other grooved for the square wire rolling. 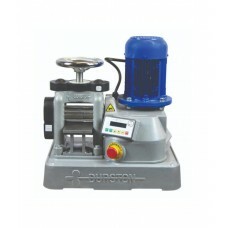 The excellent gear ratios offer 7-1 load r..
Durston Double D4-158 Rolling MillThis exceptional rolling mill has two sets of rolls, the top set for flat rolling and the bottom set grooved for square wire rolling. 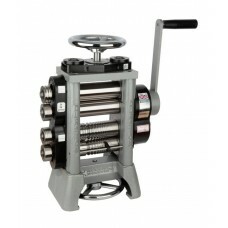 Both sets of rolls also have extension rollers. 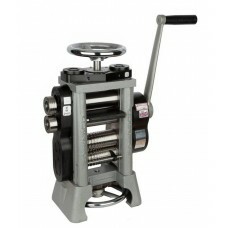 The top rolls incorporate four half rounds and the bottom rolls an additional three ..
Durston DRM C100-E Rolling MillDurston’s DRM range of rolling mills is our best-selling series of mills. It has proven over the years to be a real workhorse in many jewellers’ workshops and factories. The mill is manufactured from a single piece of cast iron for maximum strength and rigidity, and a ..
Durston DRM C100-RE Rolling Mill Durston’s DRM range of rolling mills is our best-selling series of mills. 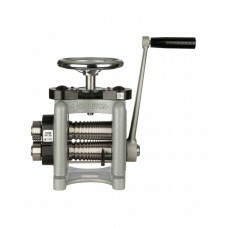 It has proven over the years to be a real workhorse in many jewellers’ workshops and factories. The ‘C’ in C100 stands for ‘combined’ enabling you to mill both metal sheets and metal wires. Ma..
Durston DRM C130-R Rolling MillThe DRM C130 R Rolling Mill is top quality combination rolling mill enabling metal sheet rolling and metal wire rolling with the benefit of Durston’s unrivalled gearbox. Durston’s mills are constructed from cast iron for optimal strength and rigidity with a reassuring ..
Durston DRM C130-RE Rolling MillThe mill also benefits from side extensions and the ease of use of Durston’s unrivalled reduction gearbox. Durston mills are constructed from cast iron for optimal strength and rigidity with a reassuring weight to support a lifetime of use and a better-rolled finish. 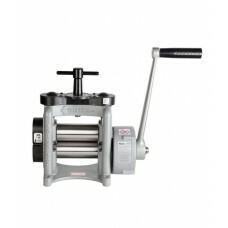 ..
Durston DRM C150-RE Rolling MillDurston’s DMR C150 RE is a top of the range rolling mill for any jewellery professional. The mill is constructed from one piece of cast iron for maximum strength and rigidity. The roller length of 150mm, significantly wider than in most mills, gives extra space for a ..
Durston DRM F100-RE Rolling MillThe ‘F’ in DRM F stands for ‘flat’, and this rolling mill has been specifically designed to roll flat metal sheeting exclusively. The mill is manufactured from a single piece of cast iron for maximum strength and rigidity, and a lifetime of rolling. 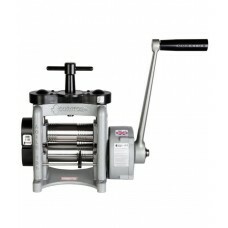 The ‘R’ stands for..
Durston DRM F130-R Rolling MillThe DRM F130 R Rolling Mill is top quality flat rolling mill with the benefit of Durston’s unrivalled gearbox. Durston’s mills are constructed from cast iron for optimal strength and rigidity with a reassuring weight to support a lifetime of use and give a better-rolle..
Durston DRM F130-RE Rolling MillThe DRM F130 RE Rolling Mill is a top quality sheet rolling mill with the benefit of side extensions and Durston’s unrivalled gearbox. Durston’s mills are constructed from cast iron for optimal strength and rigidity with a reassuring weight to support a lifetime of us..
Durston DRM Round 130RE Rolling MillThe DMR Round 130 RE Rolling Mill creates perfect circular wire forms through ten rounded forming grooves. The mill is constructed from one piece of cast iron for maximum rigidity and strength. The bearings are self-lubricating and maintenance-free and fully suppo..
Durston DRM Round 150 Rolling MillThe DMR Round 150 Rolling Mill creates perfect circular wire forms through ten rounded forming grooves with a roller length of 150mm. 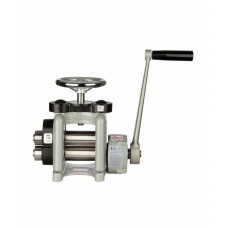 The mill is constructed from one piece of cast iron for maximum rigidity and strength. The bearings are self-lubricating and mainten..
Durston DRM W130-E Rolling MillThe DRM W130 E Rolling Mill is a top quality wire rolling mill with the benefit of side extensions. 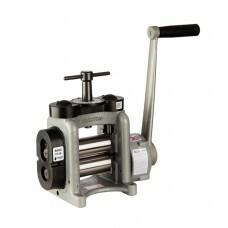 The rolling mills are dedicated to wire rolling and so do not have a flat milling area for sheet rolling. Durston Mills are constructed from cast iron for optimal streng..
Durston DRM-130 Double Sided Rolling MillThe DRM 130 Double-Sided Powered Rolling Mill is constructed from cast iron for optimal strength and rigidity. The 1.1 KW motor, is powerful enough for continuous operation which is why Durston Tools’ mills have such a long working life. This versatile packag..
Durston DRM-C130 Single Sided Rolling Mill The DRM C130 Powered Rolling Mill is constructed from cast iron for optimal strength and rigidity. 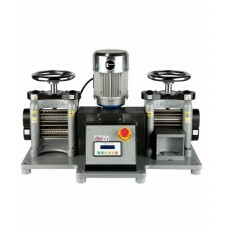 The C130 is a powered combination mill for both flat metal and square wire powered milling. The 1.1KW 110-volt motor is powerful enough for continuous oper..
Durston DRM-F130 Single Sided Rolling MillThe DRM F130 Powered Rolling Mill is constructed from cast iron for optimal strength and rigidity. The F130 is a powered flat roll mill for rolling sheet metal; side extensions also enable half round milling. 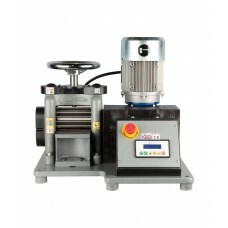 The 1.1KW 110-volt motor is powerful enough for c..
Durston DRM-SS130 Single Sided Rolling MillThe new DRM SS 130 is the space saving version of the world famous DRM130 single-sided power mill. It offers the same specification with a much smaller footprint, perfect for when space is at a premium. The base measures just 45cm by 25cm and weigh in at ju..
Durston DRM-W130 Single Sided Rolling MillThe DRM W130 Powered Rolling Mill is constructed from cast iron for optimal strength and rigidity. 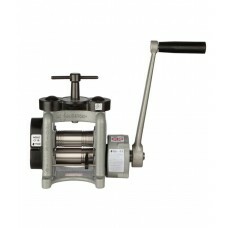 The W130 is a powered grooved rolling mill for wire rolling; side extensions also enable half round milling. The 1.1KW motor is powerful enough for continuous ..
Durston FSM-130 Double Sided Rolling MillThe FSM 130 Double-Sided Powered Rolling Mill is constructed from cast iron for optimal strength and rigidity. This mill is a floor standing mill and has lubrication on the roll bearings. The 1.1 KW motor is sturdy enough for continuous operation, which is wh..
Durston FSM-160 Double Sided Rolling MillThe FSM 160 Double-Sided Power Mill is constructed from cast iron for optimal strength and rigidity. The mill is available in two-speed configurations; fixed speed and variable speed. There is also a computer control panel which offers more information such a..
Durston FSM-200 Double Sided Rolling MillThe FSM 200 Double-Sided Power Mill is constructed from cast iron for optimal strength and rigidity. 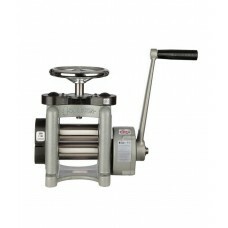 The mill is available in two-speed configurations; fixed speed and variable speed. 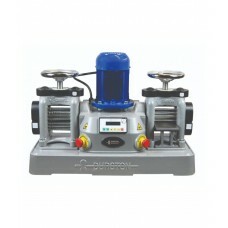 There is also a computer control panel which offers more information such a..
Durston Mini C100 Rolling MillThe Durston Mini Rolling Mill is an economic mill combining low price with a significant degree of versatility, with a milling width of 100mm. 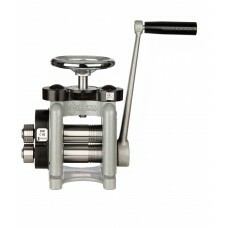 Its one piece cast iron construction is designed and manufactured for maximum strength and rigidity. 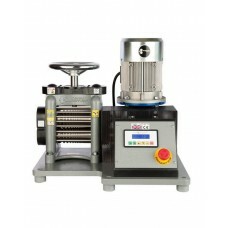 Its maintenance-free ..
Durston Mini C80 Rolling MillThe Mini C80 rolling mill with side extensions is no exception and has been manufactured in a one-piece cast iron construction for optimal strength and rigidity. 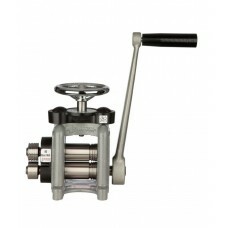 It is compact but still with everything you need and has precision hardened and ground rolls to 64RC. 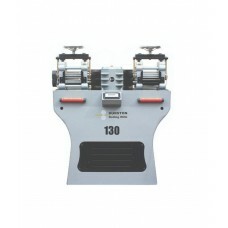 It has ..
Durston TUI-130 Double Sided Rolling Millthe TUI 130 Double-Sided Power Mill is constructed from cast iron for optimal strength and rigidity. The TUI powered rolling mill range creates the same quality and output you expect from Durston Tools but at a lower cost. Where it matters the same components..
Durston TUI-C130 Single Sided Rolling MillTUI Powered Rolling Mill range creates the same quality and output you expect from Durston Tools’ powered mills but at a lower cost. Where it matters the same components are used from the Core DRM range, such as the actual mills, rolls and casting gears. 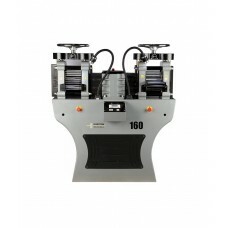 The..
Durston TUI-F130 Single Sided Rolling MillTUI Powered Rolling Mill range creates the same quality and output you expect from Durston Tools but at a lower cost. Where it matters the same components are used from the Core DRM range, such as the actual mills, rolls and casting gears. The cost savings a..
Durston TUI-W130 Single Sided Rolling MillTUI Powered Rolling Mill range creates the same quality and output you expect from Durston Tools but at a lower cost. Where it matters the same components are used from the Core DRM range, such as the actual mills, rolls and casting gears. The cost savings a..